This where we feature news on upcoming events such as Flight Simulation and Aviation Shows/Exhibitions. 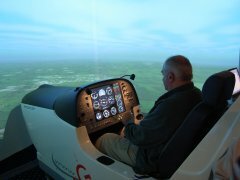 The PC Pilots Ireland again hosted Ireland's only combined 'Computer Flight Simulation and Aviation Show'. The show took place in the Red Cow Hotel, Naas Road, Dublin on Sunday 1st October 2006. Details of the show here. 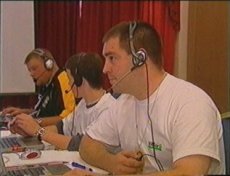 On the 19th September 2004 we hosted Ireland's fist 'Combined Computer Flight Simulator and Aviation Show'. 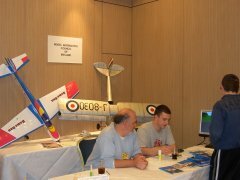 There were 34 exhibitors from the computer Flight Simulator community and the Irish Aviation community. During the show TV3 News filmed some of the show, which you can view here. 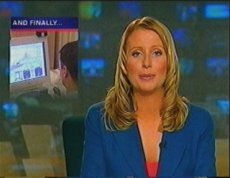 In December 2005, RTE Radio 1 featured us on 'Net Nanny', a program about demystifying the internet, showing how other people use it and meeting some of the more colourful characters online. You can hear the feature by clicking here. Visit the 'Net Nanny' website and listen to current programmes by clicking here.